Did the cast of 300 train with CrossFit? WeÃ¢â‚¬â„¢ve had a few folks call or come by CrossFit Atlanta who have somehow discovered a connection between CrossFit and the training of the 300 cast by Mark Twight of Gym Jones in Salt Lake City, Utah. 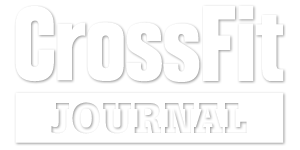 Like everyone exposed to it, Mark Twight has put his own special spin on CrossFit, but the main ideas and the essence of his current training method remain CrossFit. Mark Twight is an extremely accomplished endurance alpinist, and author of several books on training for mountaineering events. He was an advocate of long, slow endurance training and high carb, low fat diets until he discovered CrossFit, attended a few CrossFit seminars, and become (temporarily) a CrossFit affiliate. CrossFit turned his world upside down, and he became an advocate of short duration, higher intensity workouts, and low carb, higher fat diets. will realize — like I did — that what you have been doing is likely training strong points, rarely working on weak points, and training efficiency to such a degree that the workouts you do are less effective than they might be if you mixed energy modes, duration, and types of work.